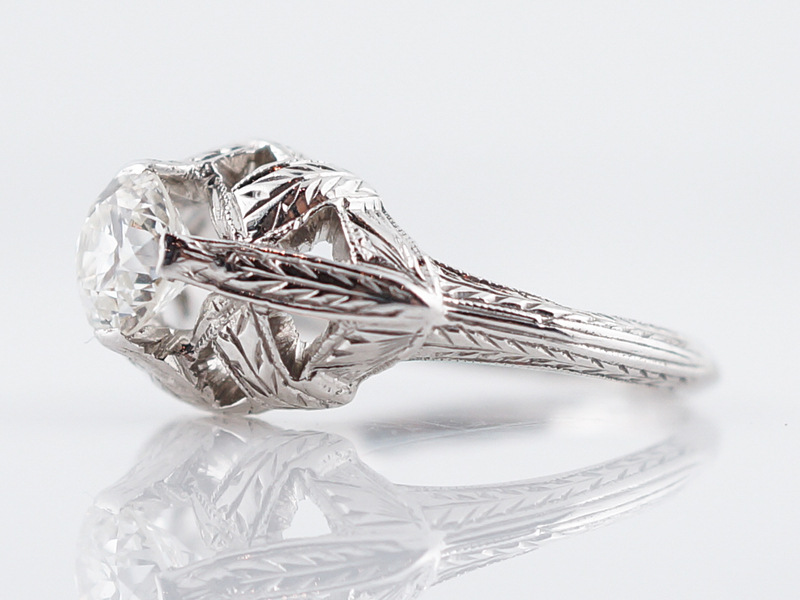 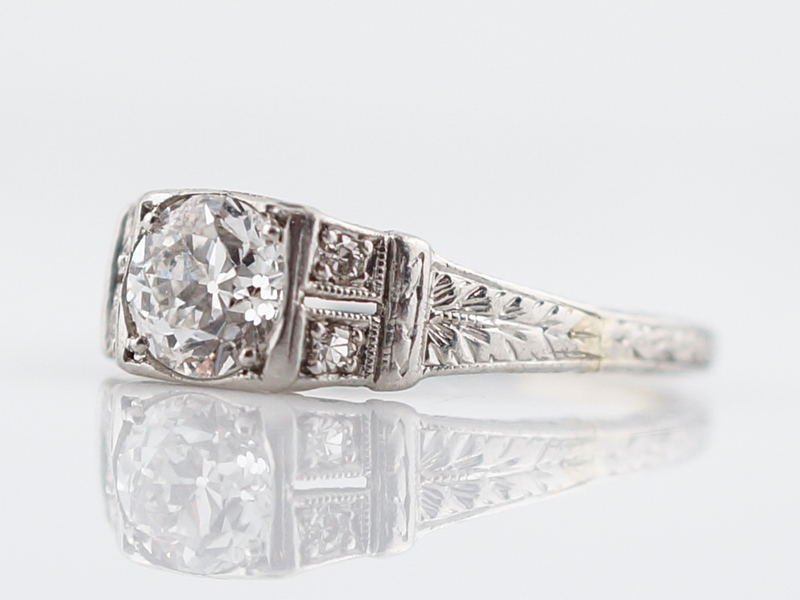 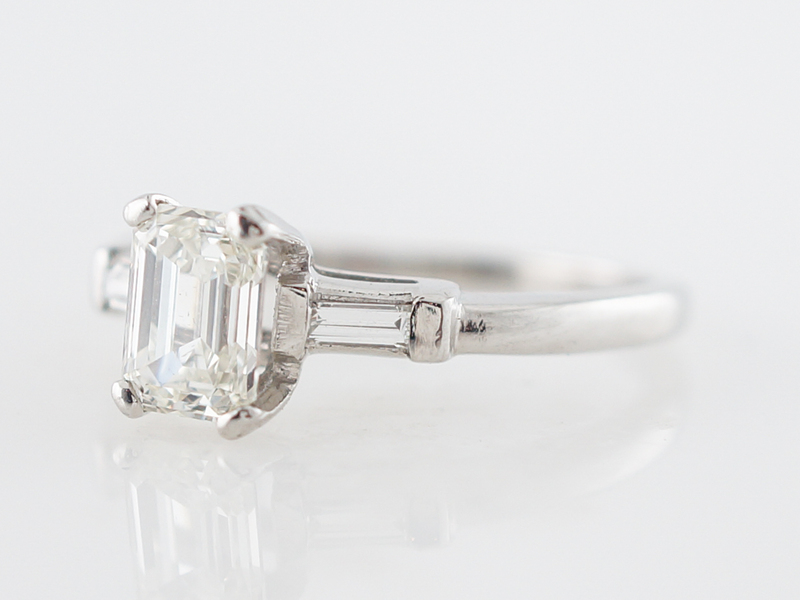 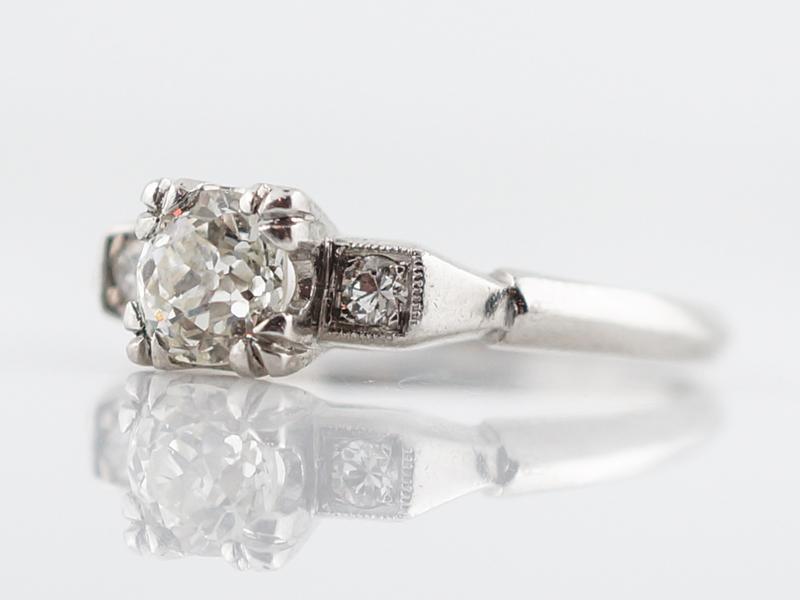 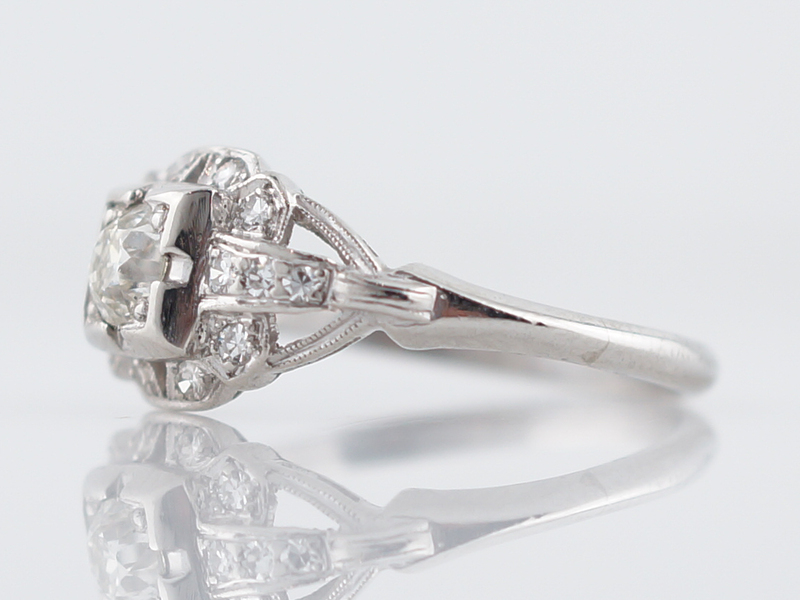 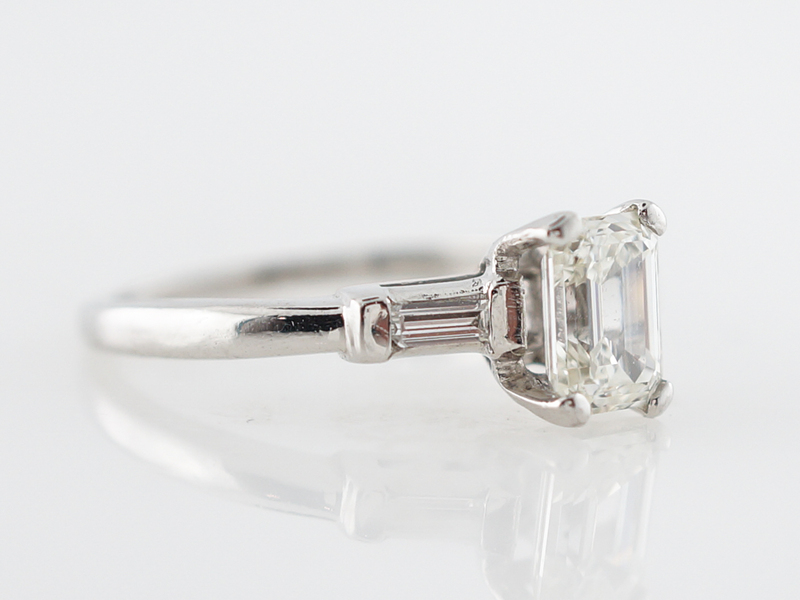 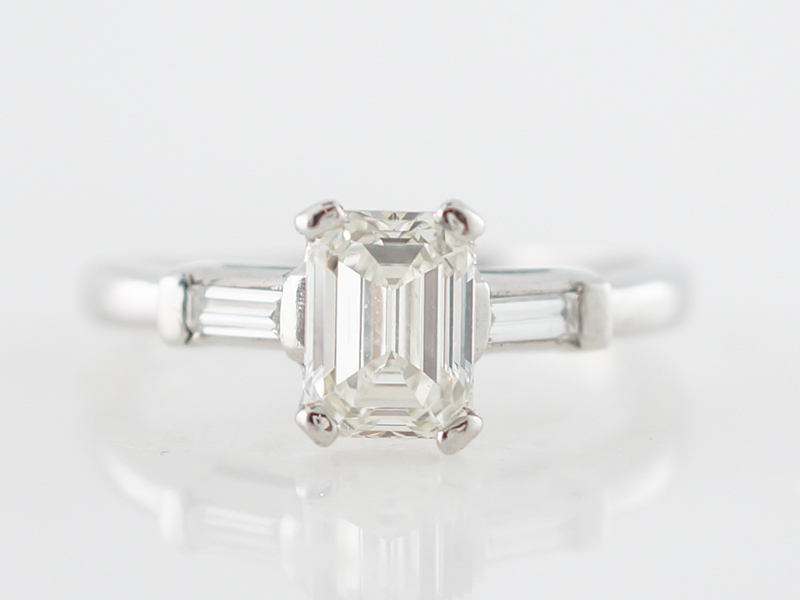 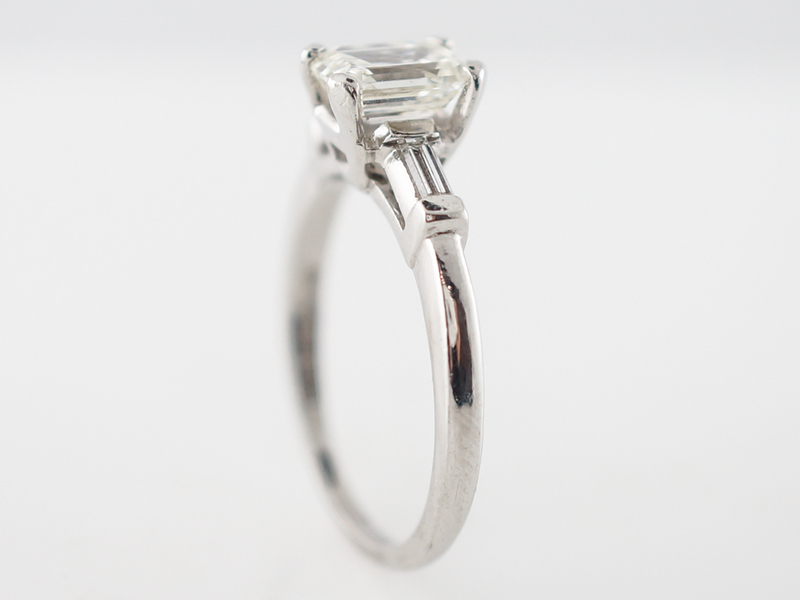 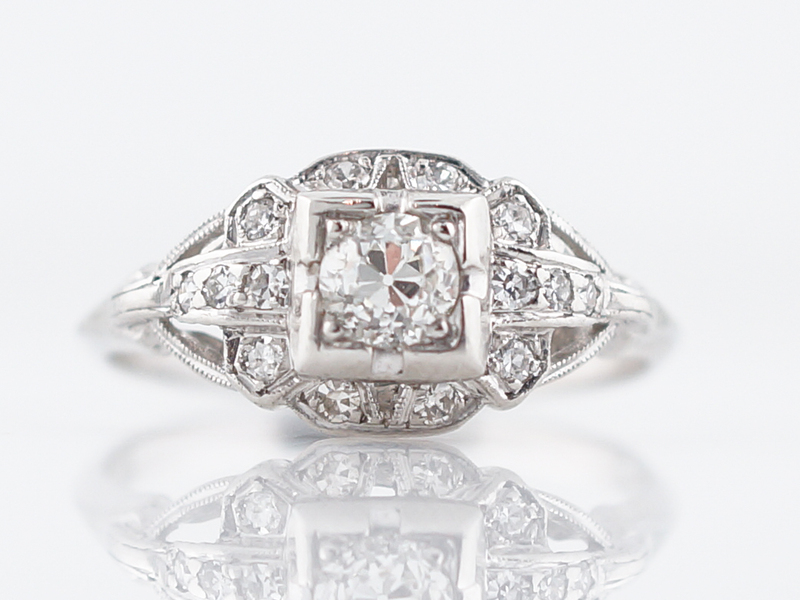 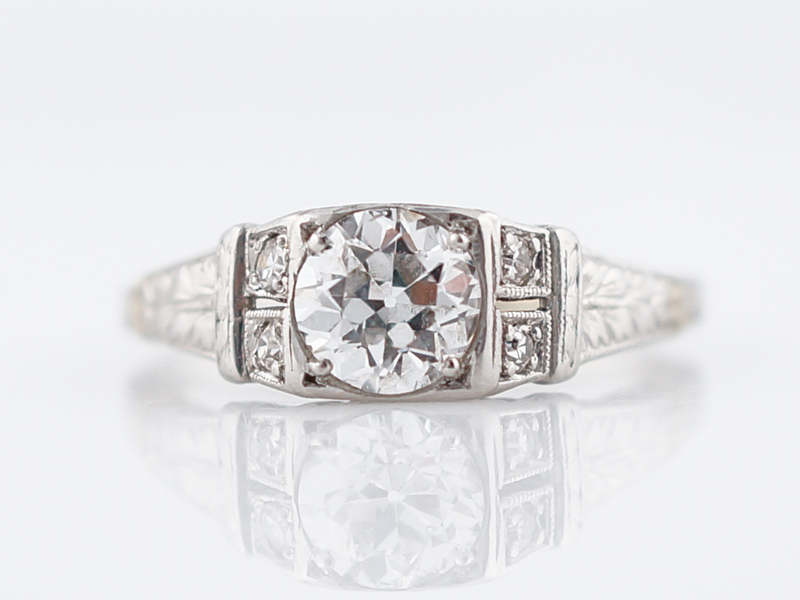 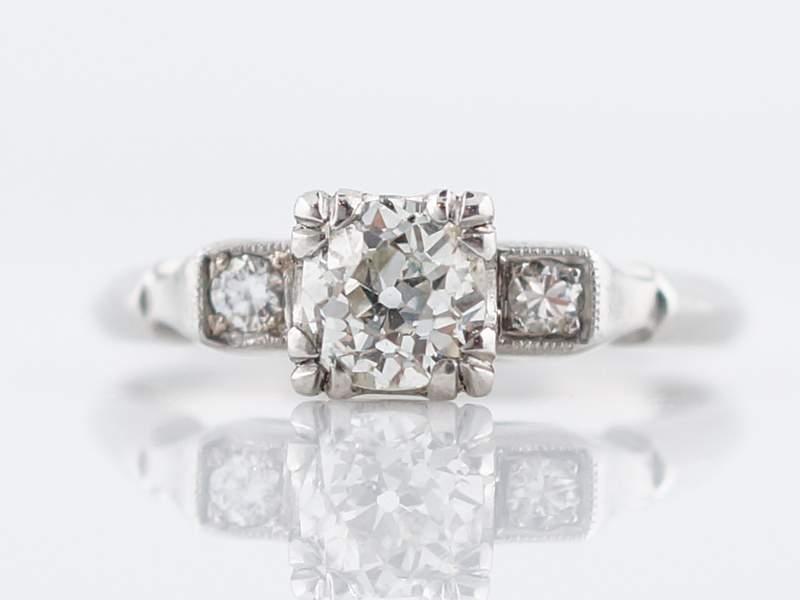 This vintage engagement ring features a beautiful emerald cut diamond. 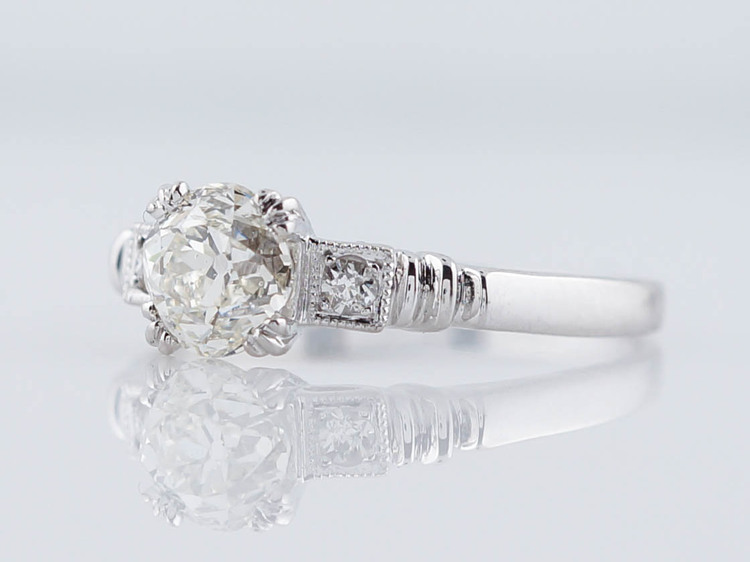 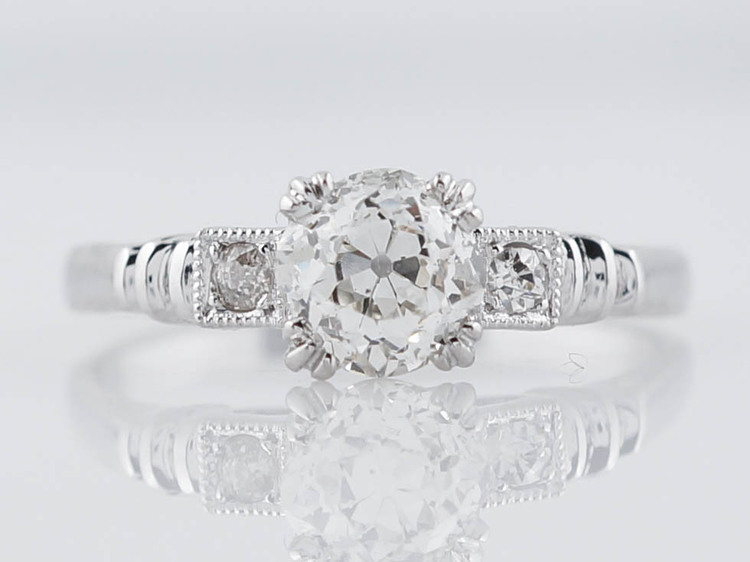 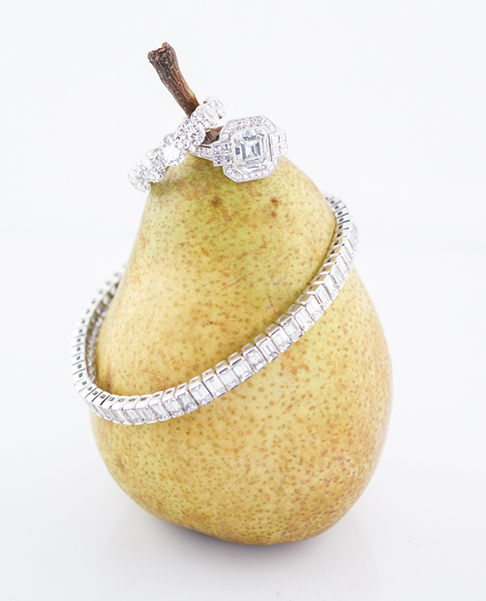 The 1.01 carat center diamond is prong set, allowing for full visibility of the stone to maximize the brilliance. 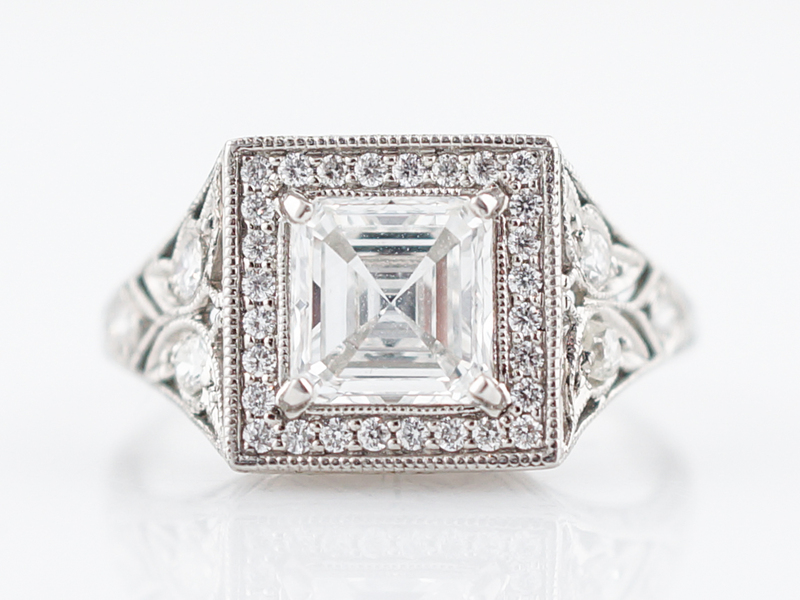 Baguette cut accent diamonds flank the stone on each side and add a second layer of sparkle and taper into a smooth polished platinum. 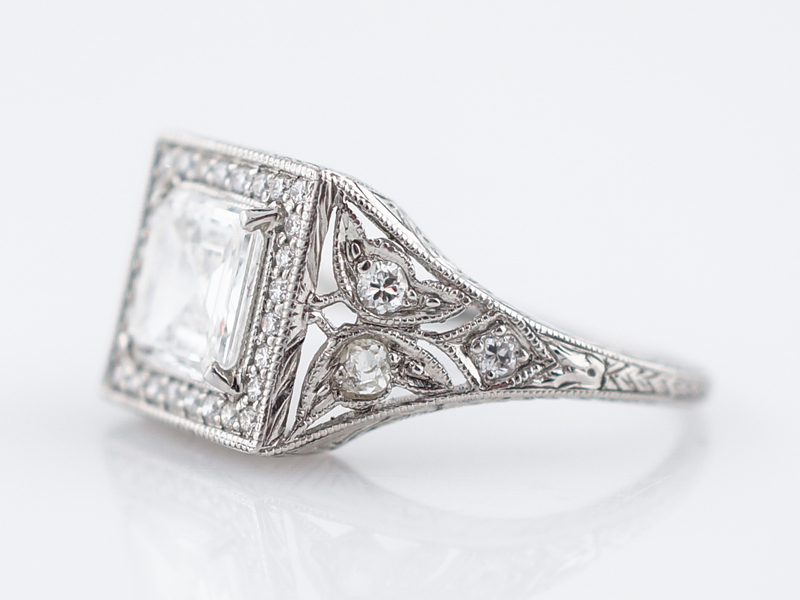 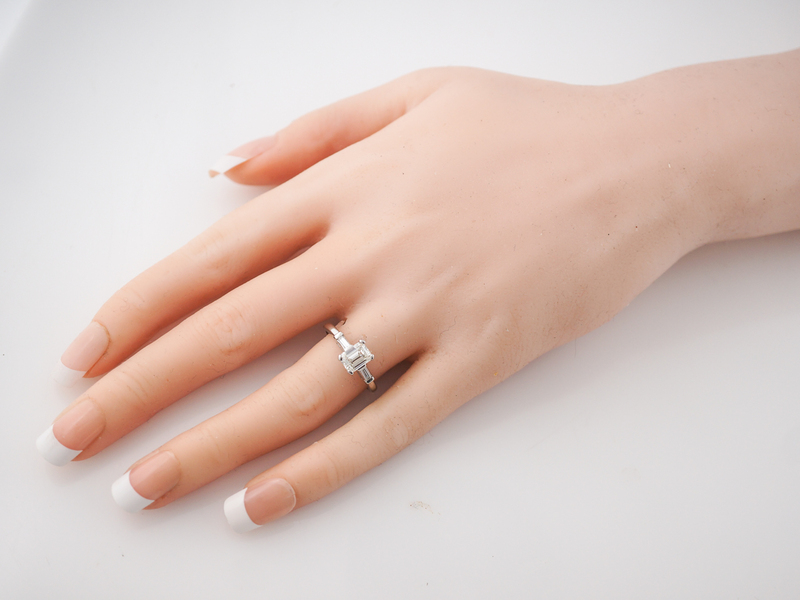 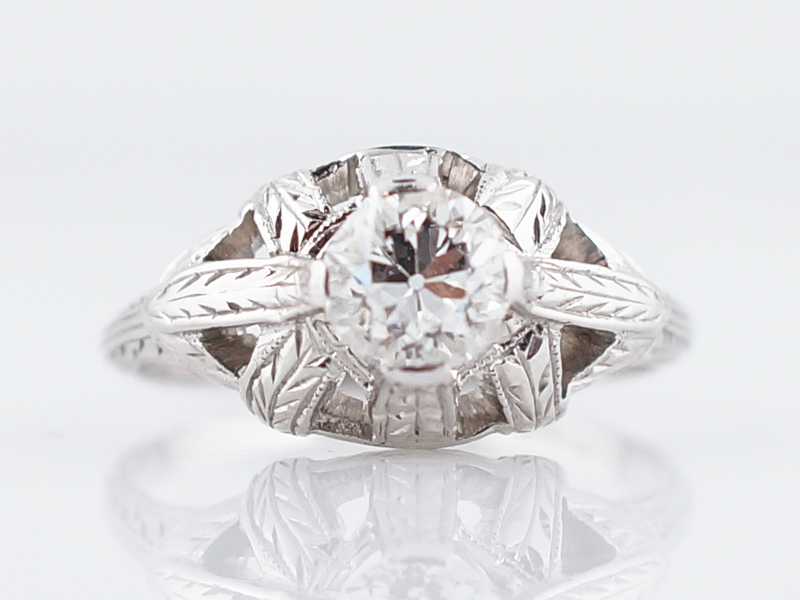 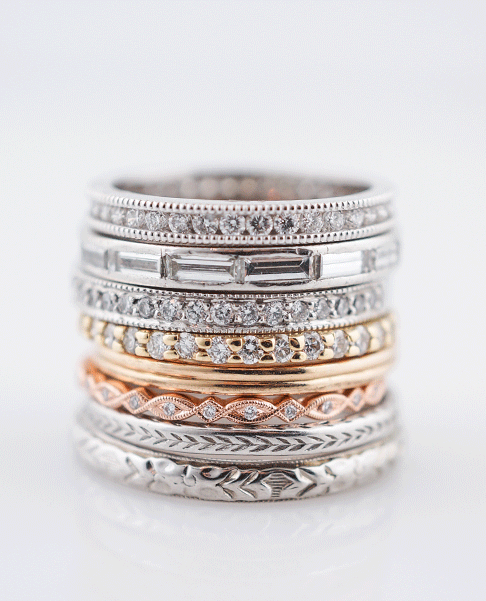 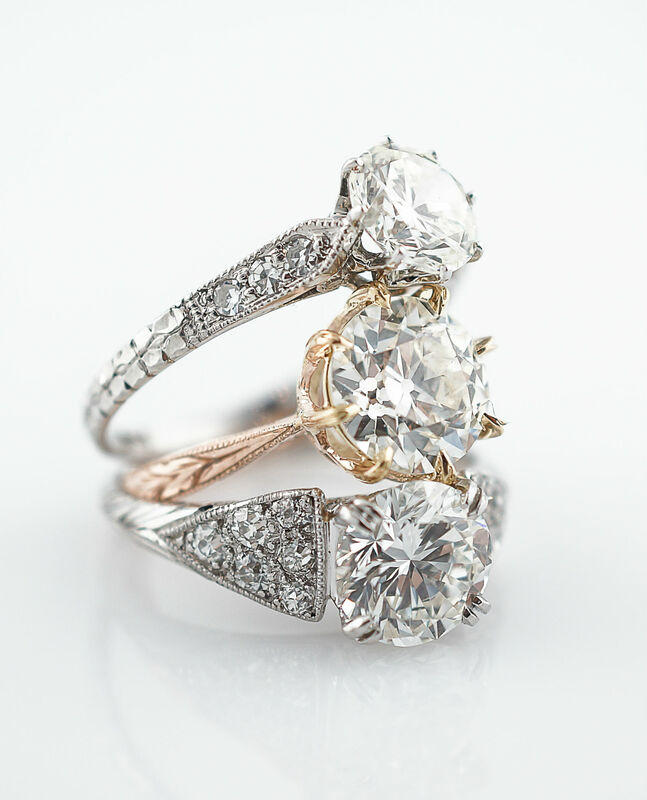 This unique engagement ring is a true classic!